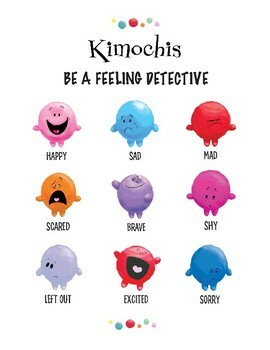 Be a Feeling Detective with Kimochis! Fun and creative way to introduce and utilize the Kimochis curriculum for free! Help kids to be a detective and be on the look out for these feelings in their day to day life! Maybe the students are learning about feeling brave. Can they spot brave on the playground at recess? Maybe they'll see it during a class presentation. What did brave look like? How did brave make that person feel?